Harmony Moon offers its community center free of charge to individuals or organizations conducting classes or workshops for free or low cost to the general public. Click here to see a list of upcoming classes and events. Kevyn Burn, BSN, RN, CHTP is owner and healer at Light of Life Energy Medicine in Staunton, VA. and is a Certified Healing Touch Practitioner. 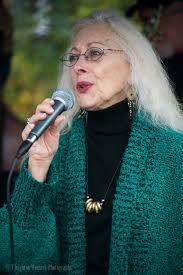 She is a guide and healer for assisting people to quality of life in all realms of their being. 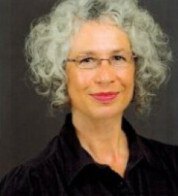 She assists through extensive experience in health and human services, religious and spiritual study and practice, and through energetic and holistic therapies. Nadine Chase has been meditating for many years and is the leader of our guided meditation sessions on the 1st and 3rd Wednesdays of the month. 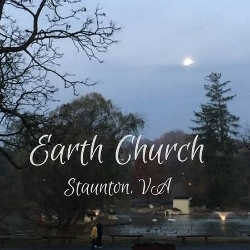 In her other life, she is also a talented jazz singer and can be heard at many venues in and around Staunton, VA.
Earth Church is a an Earth-centered spiritual group that meets at Harmony Moon from mid-October to mid-March. The group is intended for people whose religion includes loving the Earth and respecting the paths of others. All open-minded perspectives are welcome. All races, genders, and all who increase the group's diversity are welcome. Raven Mysteries is a metaphysical shop in Staunton, Virginia. They offer many supplies for the spiritual walk of life, including stones, incense, garments, and statuary. 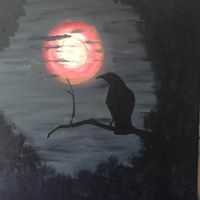 Raven Mysteries hosts Pagan/Wiccan/Spiritual workshops at Harmony Moon. 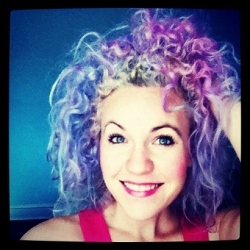 Joy Boardman is "soul" owner of PlanetJoy: Otherworldly Massages for Women and Planet-Friendly Collages for Everyone. She has been doing collage since she was old enough to hold the lefty scissors. Joy hosts Collage Party! at Harmony Moon.